The following factors will help you evaluate different brands and styles of laminate in order to determine which laminate floor best suites your application. Laminate floors are constructed using two different methods of manufacture: Direct Pressure Laminate (DPL) and High Pressure Laminate (HPL). Direct pressure laminate is made up of three layers, while a High Pressure Laminate is made up of a minimum of five layers. Is one better than the other? Yes. HPL is a far superior product. The addition of Phenolic Treated Kraft Sheets make the HPL a far stronger, more dent resistant and stable product. The catch is that they come with a higher price tag. Do you need HPL in your home? No. 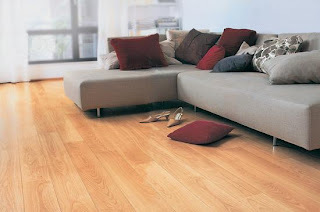 Most laminate floors sold in the US are (DPL) and are built for today’s active households. However if you are looking for a floor that will withstand the vigour of small children and large pets and still look good in 15 years time, then High Pressure Laminate is a good alternative. 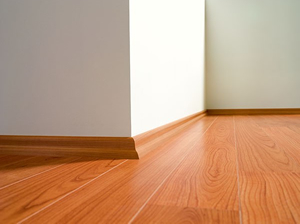 Laminate cores range in thickness from 6mm to 12mm, with a thicker core usually denoting a more stable product. The only exception to this rule is High Pressure Laminate (HPL), which although has a much thinner core compared to (DPL), is stronger and more durable. Composition of core material is also an important factor. A good floor is constructed using High density Fiberboard (HDF) as the core material, which has been treated with water repellent chemicals, offering stability and a high level of water resistance. Joint integrity can be an important factor, especially when placing heavy items on your floors. Laminate floors are engineered to withstand normal day to day wear and tear and are designed to withstand the weight of normal household furniture. If you wish to place an extra heavy item of furniture on you floors, such as a very large fish tank, you might want to consider purchasing a floor that has an aluminum locking system. The joints should also be treated with water repellent chemicals, such as paraffin wax, which is impregnated into the tongue and groove of the floor boards. A good warranty should cover the following aspects: Fading, Denting, Wear and Tear, Staining and should have some kind of water warranty, although keep in mind that no laminate warranty covers flooding. 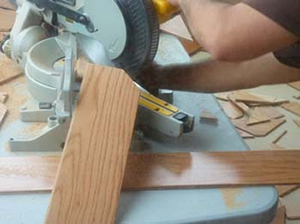 Always be sure to scrutinize the duration of the different aspects of a laminate warranty, as a 25 year warranty might refer to manufacturers defects only, while the wear and tear aspect of the warranty only covers a 15 year period.